Permanent secure screw down mount base for dashboards / consoles. Perfect for couriers & delivery driver using map applications / satnav. Use on flat surfaces - used by couriers / van drivers, in truck cabs & minibuses, motorhomes & larger vehicles. 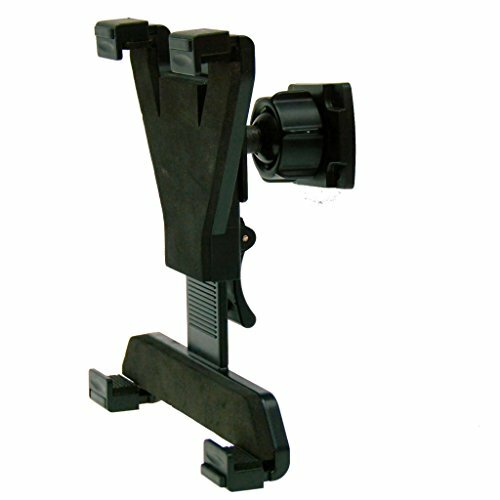 4 x screw down base (screws not included) Mount can be positioned either horozontally or vertically. Includes adjustable tablet cradle - for tablets with 7" - 10.1" screens - fits iPad Mini, iPad / iPad AIR, Galaxy Tab series. Tablet holder will accommodate most styles of case. Tilt & swivel rotation. Base measures 5.5cm x 4.5 with standard AMPS layout screw holes. The AMPS pattern consists of four holes located in a rectangular pattern spaced at 30.17mm x 38.05mm (measured as the centre-to-centre distance between holes). If you have any questions about this product by Buybits, contact us by completing and submitting the form below. If you are looking for a specif part number, please include it with your message.